Weekend poll: What operating system does your phone use? There's a wide selection of mobile hardware these days, but the variations between flagships are getting fewer with every year. IP-68+ ratings and high-dpi OLED displays are commonplace now, and every new phone wins a camera award. The only real way manufacturers can differentiate is via the software experience, and everyone has an opinion when it comes to that, including those of us here at Android Police. So, what operating system does your phone use? We're pretty varied, but most of us at Android Police probably use a mix of Meego and Windows NT 3.51. Microsoft's new NT kernel really is great, but I know Cody and David prefer to stick with DOS. Artem, of course, is still using NeXTSTEP. Personally, I think Palm's new WebOS is the future. But there are a lot of other operating systems to choose between. 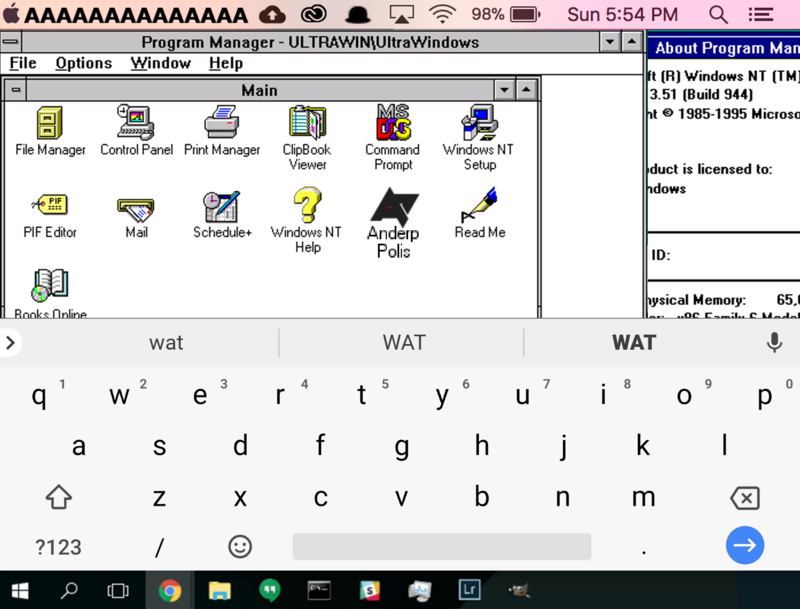 From iOS to OS/2 Warp, the possibilities are endless. Some of us at Android Police even hope that someday Google might make an operating system of its own. What operating system does your phone run?